Located amidst of the clouds and misty landscape on the eastern slopes of Western Ghats - Visit Coorg to get the green therapy, sip the freshly brewed coffees and live like Kodavas. The district of Kodagu, also known as Coorg, is known for its picture perfect beauty, coffee and spice plantations. It earns the moniker, "Scotland of India", due to the striking resemblance between the terrains and cultures of the two regions. Before 1947, Coorg was once home to the British planters, who was predominantly from Scottish origin. The distance from Bangalore to Coorg via Mysore is about 260 km. The driving condition is smooth baring a few stretches towards Madikeri and the diversion to few other destinations. Don't miss the view of the valley and rock faces while driving through the high way. 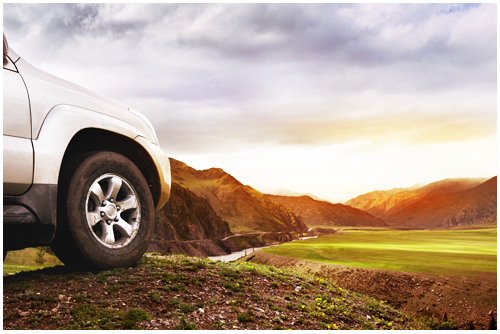 We will recommend you to drive a Mahindra Scorpio, Mahindra XUV, Ford Ecosport or a Maruti Swift to Coorg. These cars are best suited for road trips to mountains. If you want to drive at your own pace, convenience and comfort, then you can check out car rental options from Volercars and self drive to the beautiful mountains. We provide you with the best price along with some exciting deals and discount on self drive in Bangalore. Our focus is your safety and comfort. The cars are properly cleaned and serviced before the trip and we have various pickup points around the city such as Koramangla, Indiranagar, Kempegowda International Airport, Domlur, MG Road and many others but you can still choose to get the car delivered at your doorstep. Namdroling Monastery - It is the largest teaching center of Nayingma lineage of Tibetan Buddhism in the world. It's a lesser known Tibetan town, 90 km from Mysore on SH 88. 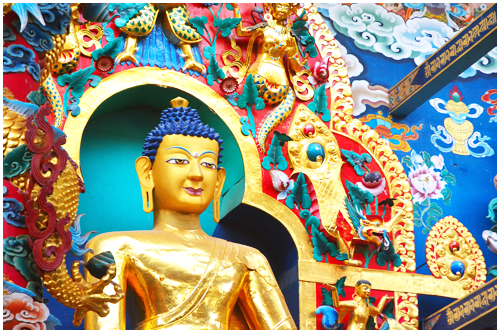 The monasteries and multi coloured Tibetan flags gives you a feeling of peace and tranquility. Honnamana Lake - It is the largest lake in Kodagu and considered to be a holy place in Doddamalthe near the village of Sulimalthe, 6 km away from Somwarpet town of Coorg in the state of Karnataka. Once a year, during the Gowri festival, a special pooja is conducted and a 'Bagina' which consists of the belongings of goddess Honamma is presented to the lake. Coorg is a beautiful place to escape the sultry heat and humidity of the south. The hill station also offers multiple adventure and rejuvenating activities to choose from. There are plenty of places for camping in Coorg, most visitors like to camp near Nalaknad Palace, Votecad, Gonikoppal and near Chelavara Falls for an experience like never before. If adventure is your idea of spending a vacation, you must opt for river rafting in Barapole River. With a self drive car rental you now don't have to worry about your luggage and wet clothes. You can keep them safe in the boot and come back post the raft without having to find a locker. Trek to explore the lush green forest and hidden waterfalls and valleys. The offbeat trekking is the best way to experience Coorg and it's hidden gems. Taka a break from your city life and enjoy soothing ayurvedic spa in the midst of nature. It relaxes both your mind and body. Explore Dubare elephant camp - In this unique camp, you can ride elephants with trained Naturalists who are appointed to explain you various elements of elephant history and the surrounding ecology to the visitors. 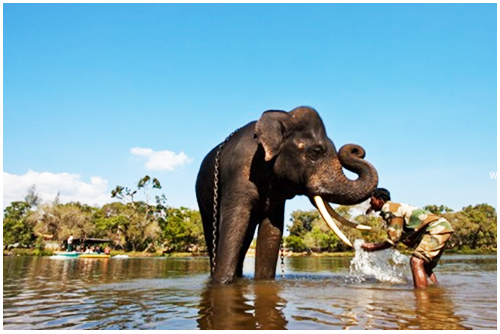 The travellers can also indulge in activities like washing and scrubbing the elephants. Situated at the bank of Kaveri River, Dubare elephant camp is a must visit via your self drive rental. Coorg is well known for its variety of coffee plantation and spices. It's is also the home of authentic Kodava cuisines. 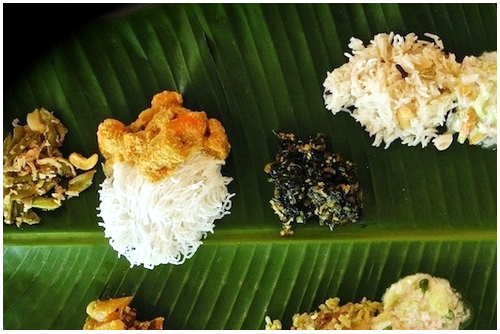 The mouthwatering Kodava dishes includes Sannakki ( Fragmented rice) and other favourites also includes Akki Oti (Rice chapatis), a huge variety of Pattus(a steamed dish),Pulvas, preparations of pork, dried fish, crab meat, Baimbale Curry (a preparation of Bamboo Shoots), Kumm Curry (a preparation of wild mushrooms) and Chekke curry (made using unripe jackfruit). Make the most of your vacation - Self drive to Coorg from Bangalore to feel the raw beauty of the nature.